A new Google Chrome Extension is published in Google Web Store. This extension makes it easy to connect to the GSmart AutoReply App. 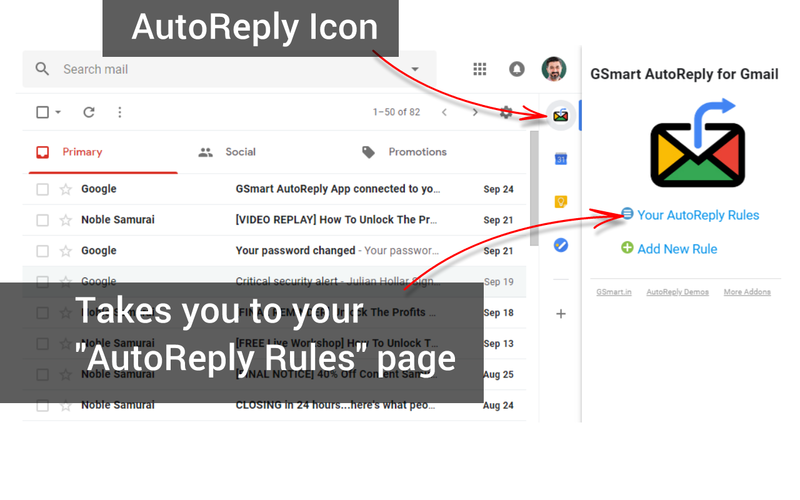 Once you have installed the Chrome Extension, it will show the GSmart AutoReply Icon in your Gmail page. Click on the icon and go directly to your AutoReply rules.